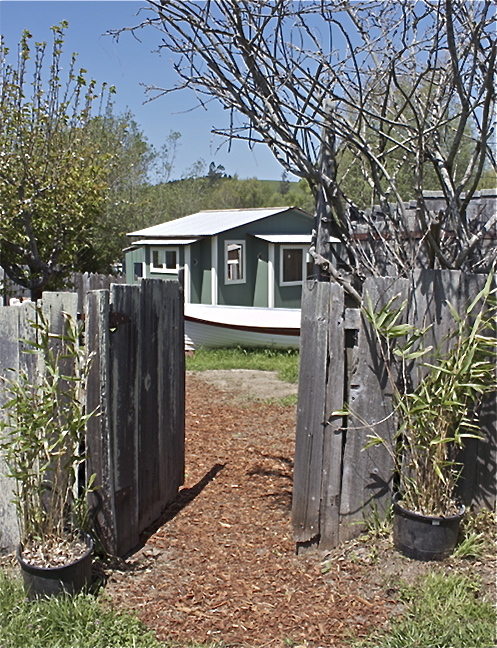 Bodega Portable Buildings | We build wooden custom portable buildings that can be delivered to your site. 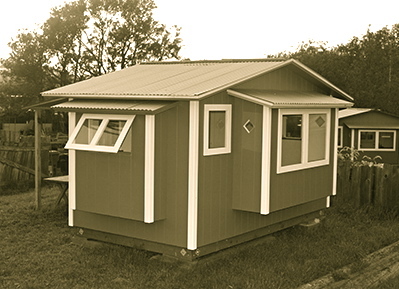 We build wooden custom portable buildings that can be delivered to your site. 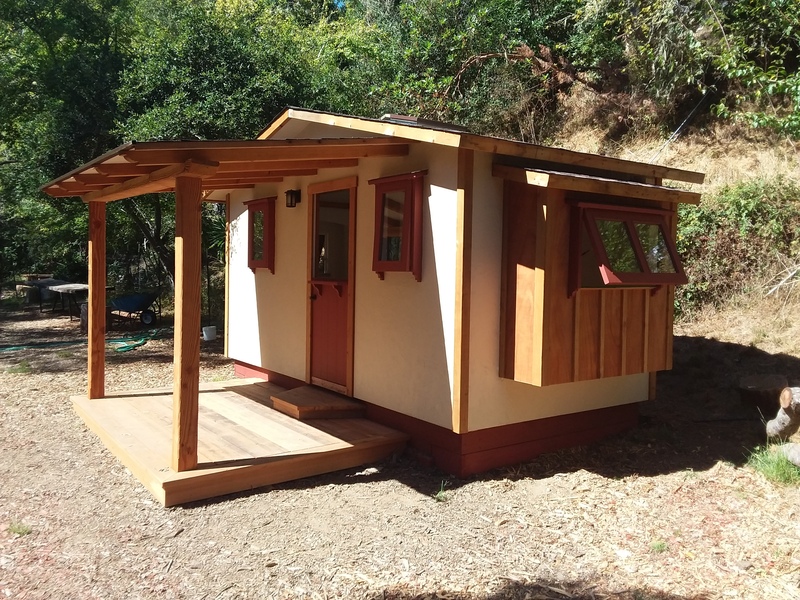 “These little buildings are among the best manufactured tiny houses I’ve seen. 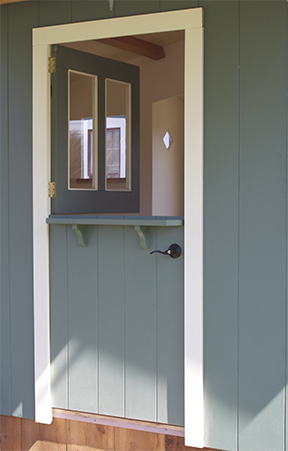 The pop-outs in the walls are particularly desirable.” ~ Lloyd Kahn, author of Tiny Houses. Sunset Magazine contest winner, September, 2014 issue. 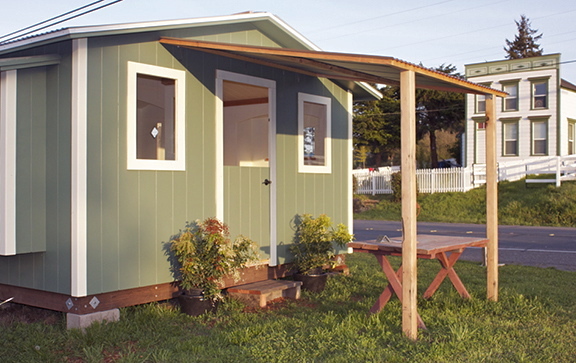 Everyone needs an extra room for a studio, shop, extra bedroom, reading room, exercise, or storage. 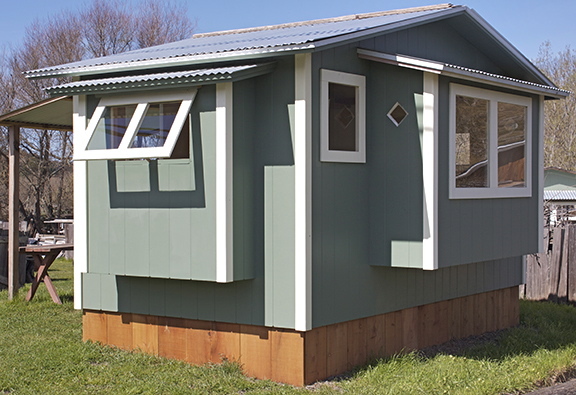 Sonoma County and surrounding counties allow you to build a storage building of 120 sq ft. floor space without a permit, and they don’t count window seats as floor space. This gift from the county allows considerable living space to be added to a small building, and also gives it an interesting exterior look. This is a handy place to begin. 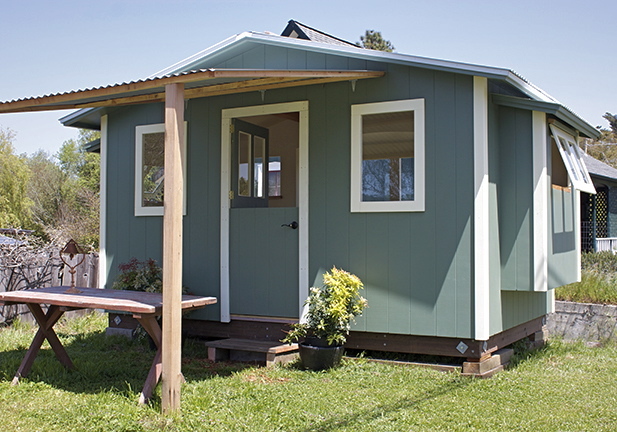 You can put a building on your property and use it to store your books and a comfortable chair, or tools, or hobby supplies. 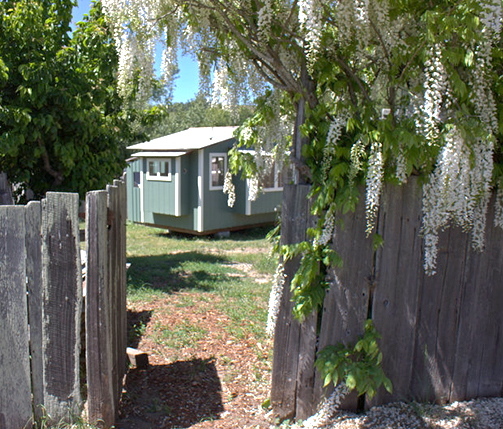 We are building 8′ x 15′ (120 sq.ft.) buildings and with 3 window seats, one at each end and one 7ft.long in the side wall. 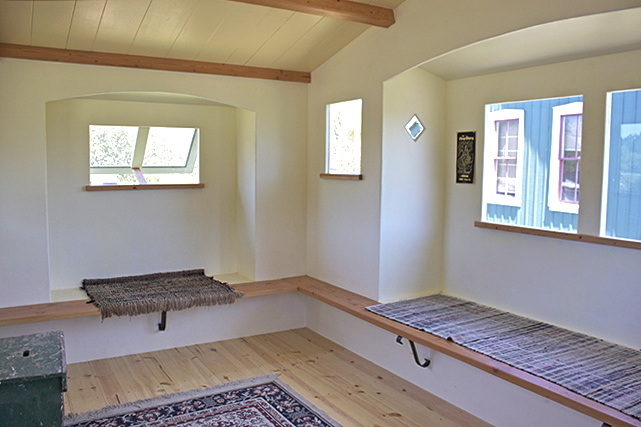 Window seats add a lot to a small building. If you put a table and chair in a 120 sq.ft building it seems to take up half the space, but with window seats this is not the case. 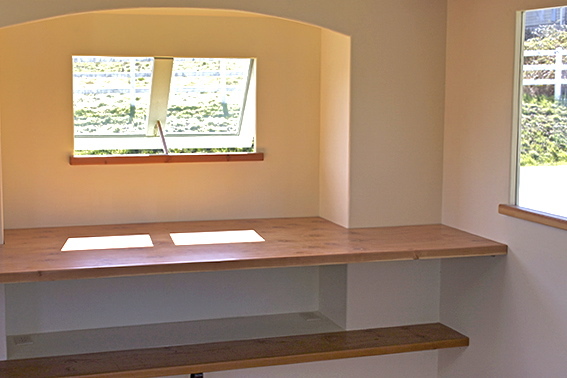 We increase to the depth of the window seats by adding a 2″ x 12″ Fir shelf along the front of the seat. This strengthens the wall since it runs the full length and ties it all together. These buildings sell for a beginning price of $12,500, and a top price of $15,500, which includes a clear Pine floor, 2 opening skylights at the ridge, a Dutch front door, electrical outlets, lighting and painted your color. A space heater is optional. This low price is possible because we have developed a building method using 1-1/8″ T&G plywood for floors, walls and roof and we make our own windows, doors and skylights. This 1-1/8″ plywood is extremely strong enabling us to build without studs, or floor joists or roof rafters. 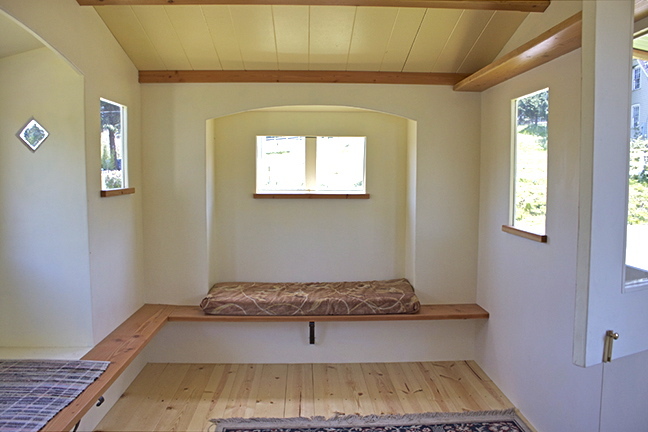 We are using 2″ x 12″ Fir shelving for structural support along the front of the window seats as mentioned and along the wall above the door. These 2″ x 12″ Fir boards act as a back bone for the building and along with the 1-1/8″ floor and roof tie it together to produce a strong building. Everything is screwed together. Not a nail to be found. 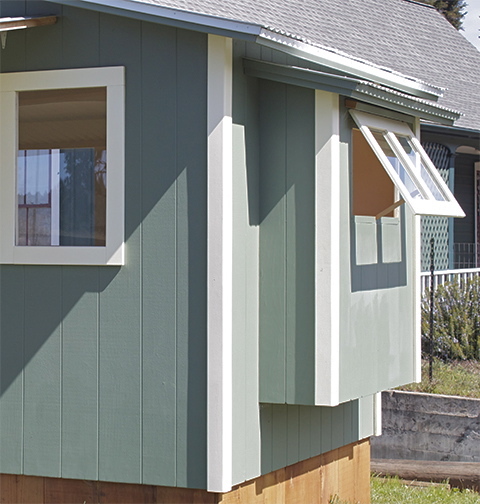 Windows are tempered, dual-glazed, and the roof and floor are insulated with rigid foam insulation. We are not insulating the walls for three reasons. One is to keep the price down, another is that this is Sunny California and it is not so necessary, and finally a small space heats quickly and is kept warm easily. We had to find the smallest heater for the buildings and usually operate it on a low setting, or not at all.